Nearly 100 people gathered for Pax Christi Northern California’s assembly “Creative Nonviolence: Peacemaking in the 21st Century” on Saturday, October 17th. They listened carefully as a panel featuring Sr. Megan Rice, Elizabeth Murray and Rivera Sun responded to questions from Pax Christi moderator Lorin Peters examining the signs of the times and what members of the faith community could do to respond. 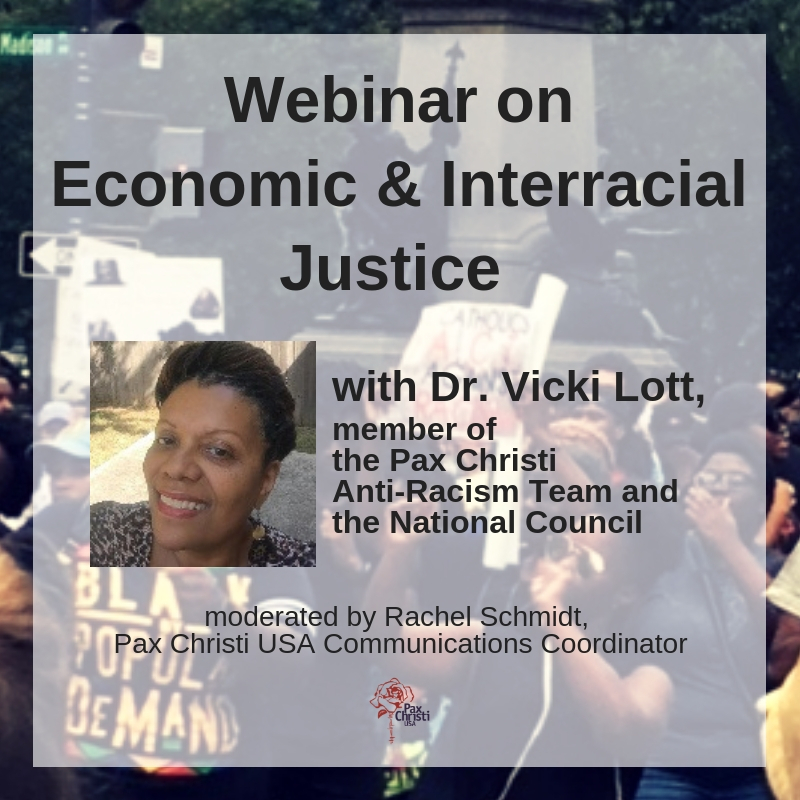 Rice is certainly known among many in Pax Christi circles, and for those with links to Pace Bene, Rivera Sun has been a widely-followed speaker on non-violence. Murray on the other hand is new to the movement. After spending 27 years with the Central Intelligence Agency (CIA) as a Middle East intelligence officer, Murray retired and has dedicated her life to peacemaking. She resides at the Ground Zero Center for Nonviolent Action outside Tacoma, WA as a volunteer. She is also a regular participant in talks given by Veteran Intelligence Professionals for Sanity, founded by Ray McGovern. Workshop presenters at the assembly provided overviews and substantive discussion on a wide-variety of topics. Marylia Kelley of Tri-Valley CARES, Chelsea Collonge of Earth Abides Catholic Worker, and Sr. Megan Rice spoke on efforts to reinvigorate the movement for the abolition of nuclear weapons in the Catholic community. Tim Iglesias, a law professor who specializes in housing law at the University of San Francisco, spoke on the housing crisis in the San Francisco Bay Area as viewed through the lens of Catholic social teaching. Dave DeCosse of the University of Santa Clara provided an overview and introduction to Pope Francis’s environmental encyclical “Laudato Si”. Rivera Sun explored the power of nonviolence with her attendees at her workshop “Nonviolence 101: Philosophy, Strategies and Action”. Finally, Sr. Caritas Foster of the Holy Family Sisters examined the growing international problem of human trafficking. The afternoon workshops offered a similar smorgasbord of topics. Rev. Deborah Lee, Bay Area director of the Interfaith Movement for Human Integrity, explored the possibilities of faith-based accompaniment for recently arrived refugees from Latin America and beyond. Rev. Damita Davis-Howard introduced her workshop attendees to Ceasefire Oakland, a faith-based initiative to reduce gun violence throughout Oakland through police and pastoral interventions and Friday night community walks where a diverse group of Oakland residents attempt to reach out to those who may be touched by the violence. Cat Willet introduced her workshop participants to the principles and practices of restorative justice. Finally, Jose Artiga and Tom Webb presented findings from the “Root Causes” pilgrimage to Honduras and Guatemala in which they participated in August along with Rev. Deborah Lee and other faith-based participants from across the United States. 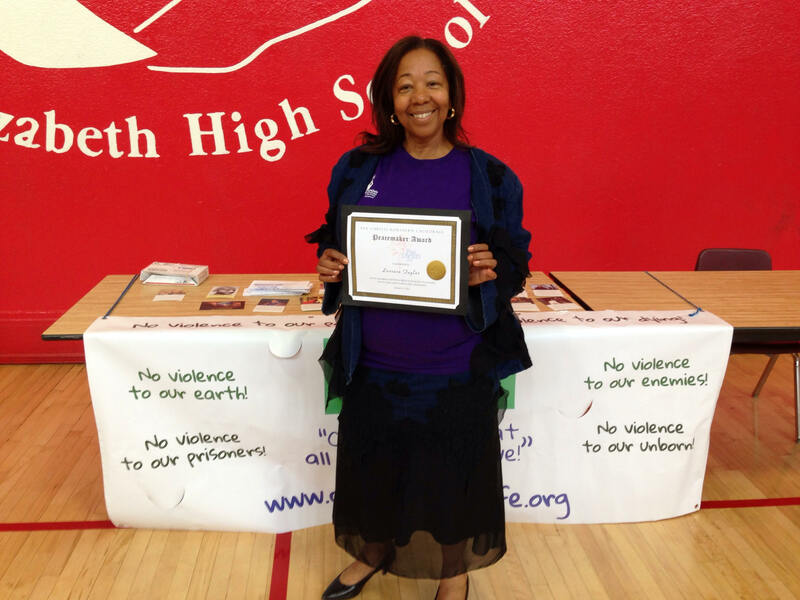 The day concluded on an inspirational note with the awarding of Pax Christi Northern California’s Peacemaker Award to Lorrain Taylor founder of “1000 Mothers to Prevent Violence”. Taylor’s twin sons were brutally murdered on the streets of Oakland while working together on a car owned by one of the sons in February 2000. Taylor’s understandable yet unimaginable grief led her to begin reaching out to other families victimized by gun violence. A social worker by training, Taylor soon began to recognize that one of the causes of gun violence is the untreated cycles of grief in which surviving families are often left to face unaided by care. She has worked tirelessly with families forming support groups, local police teaching them to recognize signs of grief among those with whom they interact in the public, and with faith-based communities and other organizations teaching them to be aware of signs of unresolved grief.